When Mike Moon and Quoc Bui heard how profitable iPhone fart apps were, they decided to launch their own app business. Because they were inspired by the ideas in The Four Hour Work Week, they also decides to completely outsource their business. Their apps would be developed, designed and even promoted by people they found on outsourcing sites. As a result, their first app cost them only $2,000 to launch, but it brought about $100,000 in revenue. Listen to this program to hear how they built that app, and over a dozen others. Mike Moon and Quoc Bui are the co-founders of FreeTheApps, an app development company. Their apps include Crop For Free, which crops photos, Dash Of Color FREE, which gives black and white photos a touch of color, and Convert Units for Free, which (you guessed it) converts units and is free. Mixergy is sponsored by TeamWorkPM. Project management made easy. TeamworkPM.net has subscription plans to suit all types of companies from one to two man operations right up to large organizations. And TeamWorkPM.net is trusted by Universal Studios, the University of Texas in Austin, the US Army and other organizations. And do you see that contact link on the top of every page of TeamWorkPM.net? Not only will they respond to your email quickly if you use the form there they even have a phone number if you want to talk to them directly. TeamworkPM.net. Warner: Hey everyone. My name is Andrew Warner. 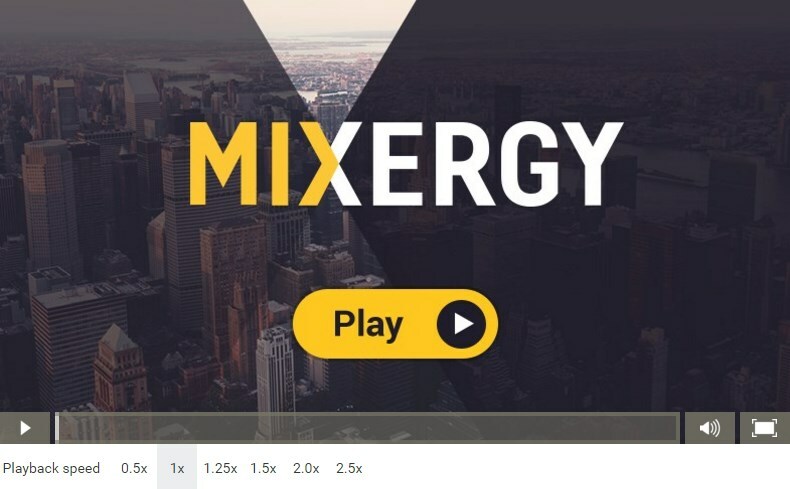 I’m the founder of Mixergy.com, home of the ambitious upstart and a place where the ambitious upstarts come to hear success stories from people who are out there building internet companies. Big question for today is how do you earn hundreds of thousands of dollars from iPhone apps if you don’t know how to develop apps yourself? Joining me are Mike Moon and Quoc Bui who have a thriving app business where they outsource everything and that’s how they build all those apps. I heard about them from a Mixergy fan who emailed me a link to an article about them and said, ‘Andrew, find a way to get them on Mixergy.’ Well, I did and my goal for this program is to hear how they did it and have them teach other entrepreneurs how they can too. So Mike and Quoc welcome to Mixergy. Quoc Bui: Thanks for having us. Warner: How much revenue are you guys bringing in annually now from iPhone apps? Bui/Moon: Well, last month…it fluctuates every month but just to give you an idea last month we brought in 84,000. Warner: $84,000 last month from iPhone apps. How many apps do you have? Warner: Ten apps that you guys created. Bui/Moon: We just released one yesterday. Warner: What’s the latest one? Bui/Moon: Convert units. It’s convert units for iPad. Warner: So one of your previous apps was convert units for the iPhone and now you’ve got it for the iPad. And your model on these is it selling them or are they all free apps? Warner: Okay. And the company name is FreeTheApps. So it’s all free apps and the revenues coming from advertising? What inspired you guys to start this business? Warner: Were you guys developers before? What’s you background? Bui/Moon: We’re actually both software engineers. Warner: So why didn’t you say, ‘All right. All these apps are coming out there, they’re successful. I’ll go learn Objective C. I’ll figure out how to program for the iPhone and develop it for myself.’ Why’d you outsource? Bui/Moon: I thought about it; I just didn’t have the patience to learn a completely new language and go through all the bug fixes and the problems. It was just being a little lazy too. And we had just read The Four-Hour Work Week and we heard about outsourcing and there’s people who can do it better than we can. And with outsourcing we were able to work on multiple applications at the same time. I knew that if we had done it ourselves by now we would have two or three good apps out. But instead we’ve published over 20 apps under different names, different company names. Warner: Since when? How long have you been doing this? Bui/Moon: Since March of 09. Warner: March of 09. So about a year and a half now, right? So how’d you guys get together? Bui/Moon: We’ve known each other since middle school. Warner: Mike, have you guys put together different businesses in the past or is this the first one? Moon: I would say this is the first official one, yeah. Warner: What kind of projects have you worked on in the past? Moon: We had a blog together back in the day, back in high school before it was even called blogging. I don’t really know what else. Do you? We actually sold items together on online video game back then too. Warner: I see. Virtual goods in online video games. That’s what you guys were selling. What kind of video games? Moon: It was for a game called Diablo 2. It was items like weapons and stuff like that. We were playing that and we made a profit on it so it was funny. Warner: Did you have fulltime jobs when you launched FreeTheApps? You did? What were you guys doing? Moon: I’m still there. I’m at websites. Warner: You’re doing a fulltime job right now Mike? Warner: Why? Why haven’t you left yet? Moon: I don’t know. I guess I’m playing it by ear still I guess. Warner: What about you, Quoc? Are you still working or are you hanging out at home? Bui: I actually quit back in March of 09 back when we weren’t making any money yet. Warner: What were you doing? Bui: I was a software developer. Warner: So you see all these iFart apps. You see all the opportunities. You probably read all the stories about guys who are making money seemingly overnight in the app business and you say, ‘We’re going to get started.’ What’s the first app that you guys are going to introduce to the world? Is it going to be an iFart rip off or do you guys have some other idea? Bui/Moon: Our first app was Crop For Free. We were thinking for our first app we didn’t want anything too complicated. Cropping a picture is pretty much as simple as it gets. And it was very functional; people wanted to crop their photos so we created an app for them. Warner: I remember that. I got my iPhone, I started taking pictures and there was always some nonsense in the background that I didn’t want in my picture. And the way that I would is I’d zoom in on the part of the photo that I wanted, align it just right, and then I’d hit the power button and take a screen shot and that’s just a really flaky way of doing it. So you guys came out with an app that cropped pictures. I see the use for it and I saw that a lot of other people did. How high did it get in the category that you guys featured it in in the app store? Bui/Moon: It hit number one in photography for a while. It was the icon for photography for a while which was pretty cool. Warner: I guess Apple’s hottest selling at the time they’ll take that icon and they’ll make it into the category icon and that’s what you guys did. So you had this idea for a cropping app. What do you do first? Bui/Moon: So since we wanted to outsource it we went on Elance, posted our project and just had to weed through all the proposals and find a developer. Warner: How’d you write the project up at first? Did you just write it out in text or did you use a program to wireframe it? What’d you do? Bui/Moon: I think we just made a wireframe on Photoshop. It’s pretty simple. Warner: And how many screens did you wireframe? Bui/Moon: Crop is so simple. Two, three…the wireframe was pretty small. Warner: So you created three different screens, you told the developer, ‘This is what we need,’ you described the functionality, you had a whole lot of responses. What I’ve seen is, on a site like Elance, you’ll get a lot of people who are individual programmers who are just trying to learn, some who are experienced. You’ll also get some proposals from shops that just seem to crank out proposals nonstop. What did you find? What kind of responses were you getting? How about you Mike? It’s kind of weird. You guys are the first two people I’ve had on at the same time since the guys who created Talk like a Pirate Day. Back then I was just doing it over the phone and I’d ask a question and I couldn’t tell why they weren’t answering. And now I understand. Because you don’t know who’s supposed to answer. I should just address the questions to one or the other. What about you Mike. What were the responses like? Moon: Since it was so simple we got a lot of bids in; everyone was able to do it. I guess the hardest part was sorting through everybody. And when we do that we usually look at repeat customers. That’s a pretty important one. And then the next most important one is someone who’s done an application that’s similar to it. So we look for someone who’s done something similar to photography apps. So we check their portfolio, we check their repeat customers and then I guess after that we look at the pricing. Warner: Okay. What kind of prices were you getting for it? Moon: I think the first one was 2,000. 1,800. Warner: $1800 to have this app created from start to finish. How much money do you think you made from it over the year and a half since it’s been out? Roughly. Moon/Bui: It’s still one of the top…I have no idea. Warner: Was it over a quarter million dollars from that? Bui/Moon: It may be around 100,000. Warner: So you invested less than 10,000 all in and then you got 100,000 in revenue roughly? Bui/Moon: Those returns are pretty good. Warner: That’s pretty good. Especially when you’re an amateur with your first shot you did that well. Now what about this. You’re tossing out an idea for a crop app. Everybody seems to be able to do it. Weren’t you afraid that one of these freelancers would say, ‘Screw these guys. Who are Mike and Quoc that I’m going to build an app for them? They gave me a great idea. Cropping is useful. I’ll toss my own crop app in the app store and let’s see what happens to me. Maybe I’ll make 100,000 instead of these guys.’ Was there any concern about that? What about you Quoc? I see you’re smiling. Bui: We get that question a lot. It was kind of concern. So what we usually do in our first bid, in our first description we’re kind of vague. We say, ‘We’re looking for a developer for a simple photography app.’ And from all those people we’ll choose three to five that look kind of trustworthy, seem like they could do the job and then we’ll give them the wireframe bid. So we start off really vague so not everybody sees it. We’ll pick three to five people, we’ll give them the full details and then they’ll give us a more detailed proposal. So that’s one way so we don’t give ideas to everybody. But I mean in this business if we’re going to outsource we figure if you really want ideas you can just go on there and look at all the bid proposals. And if we were just scared sitting on our idea…I feel like a lot of people do that. They just sit on their idea because they’re scared somebody’s going to steal it. Well then they’re not going to get anything from it. They don’t take any action, they don’t do anything, nothing comes from it. Warner: Nobody steals it but also nothing happens, they don’t go anywhere. Also, beyond the app itself and beyond the functionality there are other elements that go into success. There’s design, there’s marketing and you guys wrote an eBook where you talked about this. What’s the name of the eBook? Bui/Moon: How to Create iPhone Apps with no Programming Experience. Warner: How to Create iPhone Apps with no Programming Experience. What I thought was interesting was these guys are looking for all kinds of ideas for bringing in revenue. They created an eBook, they’ve got the apps, you’ve got medical apps. It’s kind of an interesting story here. Let me come back to that book because I’ve got questions about how you put that book together, whether you outsourced it or not, whether that’s bringing you revenue. But for now there are other elements. What about marketing? Once you build the app how do you market it? Once you built the Crop how did you market it? Bui/Moon: Actually with the crop app we didn’t do any marketing whatsoever. All the growth was organic. It just went to the top. Warner: Why do you think it went to the top so fast and why do you think it went so high considering you didn’t do much marketing? Bui/Moon: I think I read somewhere, I think the statistics are something like free apps to paid apps were downloaded 7:1. It was the only free cropping app really it was that useful so users just wanted it and it climbed. Warner: Was there a paid version of this app or did somewhere else create a paid app? Bui/Moon: I think there were a few paid versions. Warner: And is that partly what inspired you guys to create the free version? Warner: Okay. So you get the proposals, you pick someone. How do you decide who to pick? You said you were looking based on whether they had experience, what their portfolio looked like, what their price was. But do you talk to them also and hoping it all works out well? Do you talk to them also? Do you do anything beyond that? Do you just kind of go with what you see and hope it all works out well? Bui/Moon: We start communication first. So like I said, we pick the three to five and we start communication with those people. And depending on how well they communicate back well, how much they address our actual project…because there are some people who will just give you a generic, ‘Hallo, we are blah, blah, blah company. We’ve done this many apps,’ and they don’t say anything about the project. They don’t say anything about what we need, about whether they can do it or not because some people will address it: ‘Oh yeah, here’s what you need in the project and here’s how long it will take me to do it. I’ve done this part before.’ But some people won’t even mention the project. We don’t like that when…it seems like they don’t even read our description. Warner: It does seem like they’re mass responding. How long did it take you to get that first app built? Bui/Moon: Two months? I would say less than two months. Warner: Any difficulty along the way? Any issues? Bui/Moon: That one…no, not for our first app. Warner: You just sent it out and two months later it was done. What kind of communications did you have in those two months to make sure the developers were on track? Bui/Moon: There were milestones that we set. I don’t remember what the milestones but I think there were two milestones. Maybe the first one would have all the buttons on there but not working yet and the second one has all the functionality. Warner: And with Elance once the developer hits a milestone you release the money. Warner: And how much did it cost you all in? Was it $2,000? Bui/Moon: Yeah. It was pretty cheap. Warner: What about the design? I mentioned earlier the design seems important in the app store. Certainly if your icon is going to be the icon for the whole category you want it to look good and bring people in. Where’d you get the design? Bui/Moon: We’ve gotten a lot of designs from 99Designs. That’s one of our favorite sites. We love it because we get a lot of different graphic artists putting in their designs and we pick which ones we like. It’s better than hiring one guy because you get the creativity of 10 to 20. Warner: So you put it out there. You package it up, you put it out there. What’s the first response from users? Bui/Moon: That one a lot of people said, ‘Hey, we love it. It’s free. Thanks.’ But a lot of times, even though the app’s free and you think you did a good job we get a lot of criticism also. So you have to be ready for that. Warner: What kind of criticisms? Warner: Your ads seem to move faster than ads in other apps. My eye actually goes to them and I think it’s because they slide differently and they move more quickly than the ads on other apps. Do you guys have any control over that? Bui/Moon: We’re using AdWorld to use just three different advertising platforms. Warner: Okay. But do you have any control over how fast an ad is changed or how it flies in? Bui/Moon: We do but it’s just set to default. We didn’t change that. Warner: Okay. Maybe because there’s not that much to do and not that much distracting me in the app I pay a little bit more attention to the ad. You put it out there, people download it. Some people complain. Other people don’t. What kind of revenue comes in? Bui/Moon: At first we were seeing like $20, $30 a day and then it shot up to $60, $70 a day. And when we switched over to…Oh, this was with Ad Mob we started out. Warner: You started out with Ad Mob and then you switched over to AdWorld which allowed you to implement multiple ad networks. Bui/Moon: And then we got into the Google AdSense beta. So at the time their mobile was in beta and they contacted us. When we switched over to beta we were making… It was a lot. It jumped a lot. It jumped from like $60 a day to a couple hundred because their CPM’s are just really high. Warner: And did they hold up? Bui/Moon: They held for a…Yeah. Warner: So the first app is a hit. What comes afterward? Bui/Moon: I think it was Flash. Or did we do all those [INAUDIBLE] ones? I think Flash. Bui/Moon: Kind of both. We wanted the one hit but we also wanted to keep churning them out. Warner: So first one comes out; how long afterwards do you create the second one? Bui/Moon: I think we were in talks with the second one during the first one being made. Warner: So you already started going back to Elance and posting the next project and going through the same cycle? Bui/Moon: Well, I think one thing we wanted to do is since we found a developer that we trusted we actually went with them for the second project as well. Warner: Really? And that developer had enough time to work on two projects at once? Was it a company? Bui/Moon: Yeah. They had a couple teams. Warner: All right. So they had one team working on one project and another team on another and everything was working smoothly. Did you do anything different about marketing? Did you change the text? I remember I talked to Colin from SpreadSong and he said that he will SEO the hell out of the text in his description. He’ll make it into a story because stories bring people in and they get people to buy. But he’ll also add a lot of keywords. He’ll add his competitors’ keywords into his apps. He’ll come up with keywords that people might use and toss those in and see how his app performs. Do you guys do any of that? Bui/Moon: We actually started using…We hired this guy, Ed Turner. I don’t know if you’ve heard of him. But he does this app makeover for apps. So we’ll hire him for an app and then he’ll completely rewrite the description. He’ll write a press release and he’ll send out the press release to a lot of the mobile, Apple blogs. So he’s rewritten some of our descriptions and it’s worked out pretty well. Warner: I see. Ed Turner’s the guy’s name? What’s he charge to rewrite somebody’s description and to help promote it out? Bui/Moon: It’s about $300 to $400 an app. Warner: That’s it? That’s a damned good deal. So how’d the second one perform? Flash? Bui/Moon: It did really well. We actually decided to switch it from the photography category to utilities which is a much bigger category than photography so a lot more people would see it. That climbed all the way up to the top too. It climbed up in the overall rankings too. It was in the top 100 overall. I don’t remember how high it got though. Warner: How does that app work, Quoc? What does that app do? Bui: So just like the iPhone doesn’t have functionality for cropping your photos it didn’t have flash either. So basically it just brightened up the photos so it [INAUDIBLE] software flash. Warner: So right now for example you screen dimmed and so your video on Skype looks a little bit dark. If I had your app and I could apply it somehow to Skype it would just lighten up the video. It wouldn’t actually add flash it would just make it lighter so that it looked like somebody hit the flash on it. What did that cost you to make? Bui/Moon: Since we went with the same developer again I think they gave us a discount. Maybe a little over 2,000. Warner: So a little over 2,000 to develop this app that becomes a top 100 app. So how much does that bring in over the year and a half? Bui/Moon: I would say probably…it’s under Crop even though it got higher. It could be less because it dropped…I would say even though it got more popular than Crop up until now overall revenue’s probably a lot less. As a ballpark I’d just throw out 60 or 70. Warner: That’s pretty good too. Why is it that you guys don’t know the numbers for each app? How do you keep track of the revenue that comes in? Bui/Moon: We can look it up but off the top of our heads we don’t keep track. Warner: Was there a period there where you were obsessing over it? Where every day you’d go back into the numbers and you’d look at it? Quoc, you’re smiling. Tell me about that period. Bui: It wasn’t every day it was more like every couple hours. We used to check the rankings on our apps every day, all the time. What rank is it now? What rank is it now? How much money did it make? Because you can check all that in real time. But after a while you learn to let go and not micromanage it so much which is a lot less stressful. It gives us time to do other things. But that’s another problem that some people have is that they just want too much control. That’s why they can’t outsource. They’re scared to outsource. They just want to have control over everything so after a while you learn to let go and live a more stress free life. Warner: You picked apps that people need. How do you do that? How do you know what people are going to need? I wouldn’t have thought t hat they’d need a flash. I’d have thought that they’d need a real flash and I’d wait for Steve Jobs to add it to the phone but I wouldn’t have thought, ‘Somebody needs a quick way to lighten up pictures that are too dark.’ How do you come up with ideas like that? Bui/Moon: That’s a good question. I think in the beginning we mainly just stuck with photography related apps because that’s the area we’re comfortable in and we just tried to think of what users might need in terms of photography. After we released Flash For Free, since it was kind of a filter for digital flash, we went with a lot of other filtering type effects for photos. So that’s where we started. I guess as far as what people need, I don’t know. I guess we just sat down and brainstormed about what we thought would be cool. Warner: And then you keep your costs low so that if there’s a failure and it doesn’t work out you don’t spend too much money on it. What’s the big dud? Bui/Moon: Probably a couple duds. Filter effects? Bui/Moon: Those are a couple more filtering apps where it just applies a cool effect like a black [INAUDIBLE] or maybe old type school sepia. Those hit the top 100 but those are probably the duds. Warner: Why? Is it Instagram that’s doing so well all of a sudden? Hang on. I’ve got it here on my iPhone. There’s a photo app that I’ve been obsessed with and apparently other people have too. It’s been doing really well. What’s it called? Have you guys heard of that? It lets you take a picture or takes a picture out of your photos collection and it makes it look old and then it lets you share it with your friends and it lets you tweet it and Facebook it and lets your friend favorite it. It’s doing incredibly well. It’s one of the top apps in the store. It sounds like it’s very similar to what you guys did. I was wondering why they’re doing so well and you’re struggling with that? It sounds like you guys are going to go back and check this app out and see if you can reproduce it. Bui/Moon: Maybe we should go back to the drawing board now, try to redo our current one. Warner: It seems like there’s something to that. Some of your apps I see are free versions of what other people are charging for. So for example, I have Dash of Color on my iPhone and there’s someone who created a paid version of that and it looks like a great app but I don’t really have much need for it. I just wanted to play with it one evening. So I downloaded your app instead and I got to play around with it. Is that where you guys got the inspiration? You looked to see who’s doing really well with paid apps and come up with a free version of it? Warner: So what’s the smash hit? What’s the one that did really, really well? Warner: Why? Why did that one do so well? Bui/Moon: It’s really useful. A lot of people can use it. And at the time when we were releasing it there were a lot of convert applications out there. Free and paid. But to us competition just means people are downloading it. People like it. There are multiple free convert applications that were on the top 100 list. There were multiple ones that are on the paid list but we just decided to come up with our own, make it really simple, easy to use and call it Convert Units for Free. There was one convert app that was free too but it was just called Units. So if somebody were looking at that they would see the icon, they would see ‘units’ but you can’t really tell what that does. So we just wanted to make it really simple, call Convert Units for Free. People know right away what this app does, this is what they’re looking for and they can download it. Warner: I see that’s something that you guys do really well. There’s never a doubt about what your apps do. You’ve got Record Video for Free. You’ve got Dash of Color, Crop for Free, Flash for Free, Police Radio Free, Battery Box 3 and 1. That’s got a little mystery. What are the three that are included in that app? But you still have a pretty clear sense of what’s in there? What else helps? So having a clear title instead of one that comes across as cool or a little mysterious, having a clear title is better. What else helps out? What else have you learned? Do you have your maybe friends vote up your apps since they’re free anyway? Bui/Moon: It doesn’t really help as much as paid apps because they’re going to be downloaded so much so their reviews are going to get buried. Warner: I see. So free apps just get downloaded no matter what? People may or may not use them but they’re going to get downloaded? Is that what you’re finding? Really? Bui/Moon: …what we did is make everything free. Warner: At the very least you get people to download and try them out. I know something you guys do well is promote all your apps from each app. So if I download Dash of Color I’ve got a link that shows me that there are other free apps available and that’s how you get me to download the others. What else do you do to get people to download more apps? How about you Mike? What do you think? Moon: Like you said, we’ve been using cross promotion pretty heavily across our apps. We actually started hooking up with other developers and cross-promoting within their apps as well. So that’s been working out pretty well for us. And networking; it’s all about networking. Networking helps a ton. Moon: Like I said the cross-promotion between other people’s set of applications. Like Pocket Zebra. If you go into the Pocket Zebra app and you go to their ‘more apps’ page you’ll see one of our apps. And if you go into our ‘more apps’ page you’ll see one of their apps so it’s been working our pretty well. Warner: And how do you keep track to make sure that everybody is promoting…that you guys are each promoting to the same number of people? Or do you do that? Moon: Yeah. We use a [INAUDIBLE] tracker, like Butterill.com. Bui/Moon: That’s only on the weekends. Warner: Only on the weekends? Is there a hot tub yet put in your place? When I saw that you guys brought in 800, 000 in an article…how much of that do you get to keep and how much of that has to go back…none goes to Apple but how much of it would go back to the ad networks that are serving your ads? Bui/Moon: That’s our cut already. Warner: That’s your cut? So it’s fair to say at this point you guys have already brought in a total of over a million dollars? Bui/Moon: No. I don’t think so. No, not yet. Bui/Moon: No. Because the things didn’t really take off until November 2009. Warner: So the article that I saw was $800,000. Roughly a year and a half. You have how many apps? Twenty apps you said? Bui/Moon: Total. Not just free apps but under our other names too. Warner: Let’s say 20 apps. Let’s say you guys would pay 4,000 on an app? Let’s say 5,000. Warner: So that takes out 100,000 from this. Any other expenses? Web design? Any other design? No, that’s factored into the 5,000 per app. So $700,000 in a year and a half. Now I see you guys are smiling. $700,000 in a year and a half. Mike, you still haven’t quit your job? This must be the most awesome job. Is there someone at the office who you’re into, who you want to date, so you’re sticking around the office till you get an opportunity? Bui/Moon: I wish there was. That’d be cool. Warner: All right. So have you done anything personal? Anything for fun with this success yet? Bui: I have kind of. I quit in March so I’ve just been sitting around…when we outsource we don’t have that much to do so we have a lot of free time. Get to spend more time with family. I recently took up flying so I’m training for my pilot’s license right now. Warner: Cool. Where are you going to fly? Bui: We just fly around locally, around San Diego now just because I’m training. I’m trying to get my license. I’m taking Mandarin classes; so I’m trying to learn Chinese and just hanging out. Warner: And Mike’s going to work this whole time? Mike’s banking it right now. Maybe I’m a little bit more…is it 50-50 partnership here? You guys incorporated? You did the whole thing, make sure it was all legitimate, have paperwork for this partnership? Otherwise I’d try to destroy it. I’d try to set the two of you apart so that I could take half. What else do I want to know? Here’s what I want to know. You guys wrote a book about how to do this. You’ve talked openly here about how to do this. I’ve had other guests on Mixergy talk about how to build iPhone apps and how to outsource it. Some people who are listening to all these programs on Mixergy and reading your book are going to go out there and do it well. Most people, even if you arm them with twice as much information are going to fail. Why are they going to fail? Help us catch the mistakes that they’re going to make. What do you think Mike, openly? What do you think it is that’s going to keep people from doing this because everyone has 2,000 bucks or access to 2,000 bucks? So they should at least be able to get the app put together. Where are the pitfalls? Moon: I think a lot of people when they start their first app, number one, they’re scared. Number two, when they actually start writing it out they make it more complicated than it needs to be because they’re like, ‘Oh, I have this next great idea and it’s going to be really awesome with all these bells and whistles.’ But in reality when you put in all those extra features you’re just going to run into more problems. It’s going to be more expensive and it’s probably going to take a lot longer to get out on the store and start making money. So I would say probably those are the two big things. Warner: What did you have to be disciplined about? What could you have added to the crop app, for example? What could someone else have added to the Crop app? Moon: I guess to add more bells and whistles to the Crop app you could have it crop in different shapes, not just a regular square. Turn it in different angles. I don’t know. Maybe make it more like a mini-Photoshop. Warner: I see. You start thinking, ‘This is just too simple. No one’s going to want just a crop. They need a crop and something.’ And you’re just comfortable saying, ‘That’s all I’m going to give you guys.’ What happens when people demand more? What happens when they say, ‘I would like to crop in a circle’. Or, ‘I would like to crop and save two copies of it; one for me and one for a friend.’ What do you guys do? Do you take in their feedback and build it or do you say, ‘No. This is a free app. It’s going to stay this simple’? Bui/Moon: We have taken people’s feedback. For our Convert Units people were complaining about, ‘Can you add this unit conversion key and that unit conversion? I wish I was able to add my own unit conversion.’ So we’re like, ‘Hey, let’s do that. That’s a good idea.’ When enough people start shouting then we start listening. Warner: I see. But generally you have to be disciplined even afterwards and keep it simple it seems. What for example have people asked for that just doesn’t make sense? Even if they’re asking for it a lot you decide you want to keep it out of the app because you want to keep it simple. Quoc, I see you’re smiling. Bui: Somebody asked for in our flash app… somebody said, ‘This doesn’t actually add Flash to your iPhone. Warner: They’re upset because you didn’t add a little light bulb that goes on and off. Bui: Somebody else said, ‘It doesn’t turn your iPhone into a transformer.’ That’s something we can’t do. We can’t change your hardware. Warner: No matter how much they scream you can’t and you refuse to change their hardware. I noticed that you also have a whole collection of apps that are medical related. Why’s that? Why did you guys decide to pick that vertical and focus on it? Bui: That’s actually another company. That’s with my other friend and roommate, Richard Lee. He’s a medical student. Warner: You are Richard are partnering up on this? Warner: And is Mike in? Does he know about it? Bui: I don’t keep any secrets from Mike. Warner: But Mike doesn’t have a piece of the action on that one? So just because he’s in medical school, just because he knows what’s needed you guys decided to build it up. How’s that business doing? Bui: It’s doing well. It’s not as big as Free The App but it’s a decent extra chunk of income. Warner: I see. Mike, do you want to partner up on the side without this other guy and go into business and the two of us can start some apps? We’ll talk later. Has it really been four hours, just like Tim Ferris said Four Hour Workweek on this? How many hours are you spending? Warner: Really? Five hours a week? So why not up it to ten hours and go from 80,000 a month to 168,000 a month. Why not put more hours, more energy into this business? Bui/Moon: I guess we want to relax and we like what we’re doing. Plus I don’t think the math will really work out exactly like that. It’s more like the 80-20 principle. So I guess that’s the main reason why we haven’t been putting in double the work and trying to get double the income. Warner: You think that this is a good business but tell me if I’m wrong in this. Mike, you seem to think this is a good temporary business. It will be good while it lasts maybe in the future the app market is going to be more sophisticated and people who are focused full time on individual apps are going to crowd you out of the market. Do you see that? Moon: No. I don’t think this is short-term because there are so many new technologies coming out every week. We didn’t even touch iPad until recently. We just released our first iPad app yesterday and luckily we just checked the rankings about an hour ago; it’s ranking 17 overall. I’m hoping it climbs up to the top 10 today or… I guess we’ll see. But I don’t think it’s going to be a short-term thing. We were contacted by Microsoft and they wanted us to start developing on their Windows 7 phone. Quoc’s actually been playing with the new Windows 7 phone that they sent us the other day, last week. And we’re starting to do some Android stuff too. I don’t think it’s ever going to stop. I think there’s always going to be something new. Warner: What’s that sound in the background? Is there a train going through? Warner: So what’s the deal with the book? Why’d you decide to put together an eBook about how you guys did this? Warner: Who wrote the eBook? Did you guys do it or did you have it outsourced? Bui/Moon: We actually wrote it but we had someone from Elance help us to make it sound like it was from one voice. We have different writing styles. Warner: I see. So you put the whole thing together. You sent it to them, they gave it back to you. And how much did that cost? Bui/Moon: Do you know how much the ghostwriter was? We wrote it ourselves. We found an editor on Elance which cost…$200. She just did all the proofreading and kind of helped make it one voice. And then we hired another team to do the formatting. The book cover, the formatting and the sales page. And that was another couple hundred dollars and they did a really good job. And not just the design of the sales page. We actually had someone, a professional guy who had experience marketing eBooks. He wrote the sales page. Warner: How are people finding this? Bui/Moon: We promote it within out apps too. Warner: Oh you do? I didn’t catch that. And it’s $97 for the eBook. Plus there are bonus materials and all kinds of stuff in there. But essentially this whole package is $97. That means you have to sell maybe five of them to break even. How many do you think you sold? Bui/Moon: I think last I checked we sold about 80 of them. Warner: Wow. You know what? This is kind of an awkward conversation. Maybe it’s because it’s the three of us instead of just two people. Maybe because I’m asking you how much money you made from everything. I don’t know what it is. Maybe you guys just aren’t comfortable self-promoting but I really like you guys. I like your attitude. ‘All right. Everyone’s asking us how to do this stuff. We’ll pull it together in an eBook. We’ll have somebody else ghost write it or ghost clean-it–up and we’ll sell it. We don’t even have to write the sales copy page. Why are we busting out butts on that? Somebody for 200 buck on Elance will do it, let them do it. Good on them.’ And Elance, that’s the company you use? You don’t use ODesk? You don’t use Guru.com or the other services so much? Bui/Moon: We’ve used ODesk a couple times but we always go back to Elance for some reason. I feel like we have better quality of workers on there. Warner: Especially with the eBook, you write something, it’s in two different voices. Fair enough; but at least it’s two authentic voices. You send it off to Elance, somebody else takes over and suddenly it’s not in either of your voices but it represents you. Do you feel a little bit like…How do you let go? You’re really good at letting go. You’re good at saying, ‘I’m putting this book out there; let somebody else write it. I don’t have to have the landing page be exactly in my voice. It’s okay if it doesn’t really jive with who I am. I’ve got to experiment.’ How do you do that? Because you are good at just letting go. Bui/Moon: We’re not professional sales copy writers so that’s one thing. So if we wrote it ourselves we might not have sold any. Warner: I like that attitude. What else do I have here in my list of questions. I think I’ve got everything. Oh, promotion. You talked in your book about Twitter being a promotion vehicle. How do you use Twitter to promote your apps? What do you think, Mike? How do you do it? Moon: We don’t have some magic formula. We’ve got a pretty decent Twitter following base and every time we come out with something new…we actually created a Facebook page also so we’ll post it on our Facebook page. Our Facebook page is linked to our Twitter page so it’ll tweet it also. And that give us an extra thousand, couple thousand downloads. Warner: What the book said is…Did you guys read the book? I read the book. You put in some search terms into Twitter search. You find out who’s talking about them. So for example, if you have medical apps you might type in some medical keywords into the search box. You see who’s tweeting about medical issues. You don’t follow them. You follow the people who are following them and those people are interested in medical ideas. They see that you’re following them and they’ll follow you back. I hope I explained that well. That’s one of the ideas in there. Is there anything else, any other promotional techniques you use? Do you use SEO online? Do you buy ads online? Bui/Moon: We’ve tried buying ads but with iPhone apps being free or 99 cents it’s not really worth it. We do use SEO for our website though. So we’ve hired an SEO company to do that for us. Warner: How’s that working for you? Bui/Moon: They did a good job. Warner: Less than a thousand bucks on SEO? Bui/Moon: It was pretty close to 1,000 because it was a recurring thing for a couple months. Warner: Okay. I think I’ve got it all. It just seems too frigging simple. You come up with an idea, you keep it dead simple, you go to Elance.com or ODesk or whatever you prefer; these guys prefer Elance. You write up a short description what you’re looking for. Don’t add too many details, don’t give too much away. Look for the responses; ignore the guys who are just robo-responding. Look for the people who really looked at your request, who submitted proposals that were intelligent. Make sure the price is in line. Keep it cheap, keep it simple at first. You’re also looking to see if they did anything related to it so if you have a crop app you want to see if they created another crop app or any photo type apps. You pick one of the people. You set milestones to actually make sure that they actually get the job done. You pay them only when they get each milestone done. At the end of the process, or maybe during the process, you go to 99Designs.com; you ask for designs for this app. Bing, bang, boom. You put it in the apps store. In the book you walk people step-by-step how through how to do that but people may be able to figure that out on their own if they’re listening to this program. Not that they shouldn’t buy your book. I’d like to see you guys make more sales; I like your hustle. Who’s the guy they should hire for a few hundred bucks who’ll redo their descriptions? Warner: In the book you also list all the directories people can get their names into and their new app into. Maybe make some partnerships with people and then sit back, relax, take flying lessons and watch the business come in. That’s basically it. I think people don’t need to buy the book; I just gave the whole thing away for free. But you also have bonus material in the book. What’s the bonus material that’s like hundreds of dollars in bonus material? What comes with it? Bui/Moon: We include source code that powers six apps that are in the app store right now. Warner: So I could take the source code and just recreate your whole app? So you guys have Dash of Color. I could come out with Dash of Color for free? That’s not the one? All right. Is it Crop for Free? Bui/Moon: It’s actually not one of the Free The Apps. It’s one of the medical applications. It’s a really simple application. Warner: So I could take maybe medical pronunciations or how to pronounce medical words and I could have my own free version of that. I see. And you guys are just giving that stuff away? Bui/Moon: You can basically change out all the pronunciations and the words and the graphics and come out with your own app. It’s just like a template. Bui/Moon: It’s probably the San Diego atmosphere. Warner: Are you guys wearing flip flops right now? I bet you are. So the website is FreeTheApps.com. Today I met Mike Moon and Quoc Bui. Thank you guys for doing the interview. It was great to meet you. Bui/Moon: Thank you. It was awesome. Warner: Thank you all for listening. Come back to Mixergy and give me your feedback.